Despite the unprecedented levels of political uncertainty facing the UK at home, in Europe and the US, the mood at the Question Cambridge event was one of cautious optimism. The third Mills & Reeve Question Cambridge event was hosted at the Wellcome Trust Genome Campus Conference Centre, with an esteemed panel drawn from industry, politics and the media debating how businesses can thrive in a turbulent political world in front of an audience of over 200 senior business leaders. The panel included Shaun Grady, vice-president (BD Operations) of AstraZeneca; leading pro Brexit economist and writer Gerard Lyons; Olivier-Marie Racine, deputy CEO of Bouygues Construction; Heather Richards, CEO of Transversal and Dr Sheila Lawlor, director of the Politeia think tank. One of the key questions tackled by the panel was what does a good Brexit look like? Shaun Grady said a good Brexit for AstraZeneca would be focused on people and products. 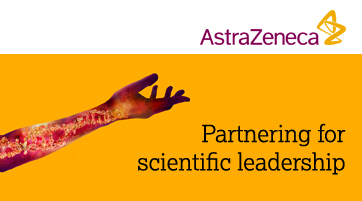 AstraZeneca employs 80 different nationalities at its Cambridge HQ. Access to talent was top of the agenda for Heather Richards and Olivier-Marie Racine. “The most important thing for us is that we need to be able to bring in the right talent to this country. We are heavily reliant on foreign resources,” said Olivier-Marie. Economist Gerard Lyons said he was very much in favour of a “clean” divorce from the EU and “a Brexit for the people”. He went on to say that he predicts economic growth in the future will be greater outside of the EU. In recent years there has been an increasing flow of foreign acquisitions of major UK companies. Many of those have been Cambridge-based such as Autonomy, CSR, Domino, ARM and most recently Sepura. The panel debated whether the low value of the pound is likely to fuel further sales and whether foreign acquisitions are actually a good thing. Gerard likened the situation to the ‘Wimbledon effect’ many years ago when no one particularly cared whether the winner was British just that it was the best tournament in the world. “Many say foreign ownership doesn’t matter as long as the jobs stay in Britain,” he said. “But the problem is when the IP goes out of the UK. It also begs the question why don’t we want to do it ourselves.” He also suggested incentivising companies to remain UK owned. Heather added that smaller mergers and acquisitions may well benefit from a weaker pound and could encourage opportunist overseas investors. The next question explored what role, if any, does business have in addressing the concerns of the less advantaged in society and whether business needs to engage better with the young? Sheila believes Government policy must change to support entrepreneurs better so that the young are not always driven to protest votes. “Many young people can’t find the high skilled jobs to meet their demands,” she said. “The young people want something new, something different,” added Olivier-Marie, commenting on Macron's recent election win in France. The final question asked what businesses and politicians can do to improve confidence? Grady advised: “Have a strong, robust strategy and stick to it. Don’t get distracted.” Olivier-Marie added that innovation and R & D is key. “Focus on new products and selling what your clients want,” he said. Gerard suggested that the politicians were the ones who needed to do more. “We haven't got our finger out over the last year. Some things should have dawned on the prime minister and chancellor already,” he said. Ian Mather, head of the Mills & Reeve Cambridge office who chaired the debate said: “When planning Question Cambridge we knew Brexit was going to happen and that Trump would be in the White House. However, we didn’t expect a new party to sweep the youngest President in French history into power, along with a large number of new MPs. “And we certainly hadn’t foreseen a general election in the UK and no one imagined that if there was an election that the result would be a hung Parliament. Somehow turbulent does not seem like a strong enough word now. Before the panel discussion, guests were invited to explore the Question Cambridge exhibition. This included a variety of businesses from start-ups to well-known international companies showcasing their offering and discussing their stories. Those exhibiting ranged from low tech Extremis Technology who displayed their new wooden flat-pack shelter to help people affected by earthquake, hurricanes, floods or war, to cyber security leaders Darktrace, Business Weekly’s Business of the Year.